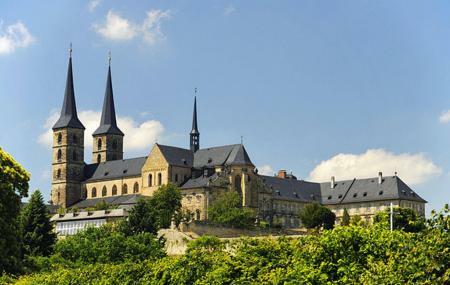 The monastery is situated at the peak of the hill exhibiting a magnificent view of the city of Bamberg. The city is built over seven hills each with a church at its peak. The St. Michael's Monastery holds the highest altitude in comparison with the other peaks. Built in Romanesque style, the church initially was of a Benedictine monastery. A tomb of the bishop Otto of the city that belongs to the year 1443 lies behind the altar in the church. The church is beautifully maintained with spectacular paintings on the ceiling and walls. Crawling through the hole of the tomb is believed to be beneficial for back aches. How popular is St Michael's Monastery? People normally club together Bamberg Altstadt and Theater Der Schatten Or Norbert Gotz while planning their visit to St Michael's Monastery.